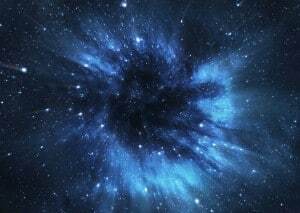 According to recent studies, sound appears to be the primordial organizer of the whole Universe. Therefore, sound and life seems to be intrinsically linked… The following question then arises: is the Universe tuned to a specific sound frequency? Most music worldwide is tuned to A=440 Hz (or LA=440 Hz). This standard pitch system had been informally adopted by the music industry back in 1926 and it was chosen as the worldwide reference frequency (official international pitch standard ISO 16) by the International Organization for Standardization in London in 1953. A=432 Hz (or LA=432 Hz) is an alternative tuning that is said to be mathematically consistent with the patterns of the Universe. The international political and economic organization “Schiller Institute” recommends tuning A to 432 Hz as it is derived from the mathematical basis of the “scientific pitch”, also known as “philosophical pitch”, i.e. 256 Hz for middle C (C4 or Do3). In nature, in the construction of all living forms, the essential geometric characteristic operating as a universal law is the Golden ratio (1 to 1.618…). Since music is the product of the human mind, i.e. of a living process, everything in music must be coherent with this Golden ratio. According to Johannes Kepler’s studies, the scientific pitch is the unique frequency which is consistent with this sacred ratio. This is why A=432 Hz is considered as the original harmonic intonation of nature and the whole Universe. Unlike 440 Hz, 432 Hz tuning has ancient roots. This musical tuning of A=432 Hz can be found in many religions and cultures in the ancient times. Most of the ancient Egyptian and Greek instruments were tuned to that frequency. As well, Tibetan singing bowls seems to all be harmonic to the 432 music scale. Even the antique Stradivarius violin was tuned to that frequency. Besides, Italian composer Giuseppe Verdi placed A exactly at 432 Hz, observing that this tuning was ideal for opera singers. This is why this A=432 Hz is often known as “Verdi’s A”. The great Mozart also tuned his music to this frequency. Music based on 432 Hz is said to transmit beneficial healing energy, because it is a pure tone of math fundamental to nature. On the other hand, A=440 Hz is more disharmonic with the natural resonance of nature, and it can cause stress, negative behaviors and unstable emotions. Today, musicians who have tested the effect of A=432 Hz by implementing it into their instruments found out that it is more pleasant, more beautiful and harmonious to the ears in general, compared to A=440 Hz. Music tuned to A=432 Hz is rather felt as an inner experience (feelings inside the body at the spine and heart) while music tuned to A=440 Hz is rather felt as a more outward and mental experience (feelings at the side of the head which projects outwards). Other testers have noticed that music in A=432 Hz seems to be non-local and can fill an entire room while A=440 Hz is perceived as directional or linear in sound propagation. And… 432 Hz tuning is totally consistent with these studies. Playing music tuned to 432 Hz will fill you with a sense of peace and well-being; it will resonate inside of your body, release emotional blockages, take you in a natural relaxation state and expand your consciousness. 432 Hz will make your body, and the organic world which surrounds it, resonate in a natural way. Besides, 432 Hz seems to work at the heart chakra, and therefore could have a good influence on your spiritual development. 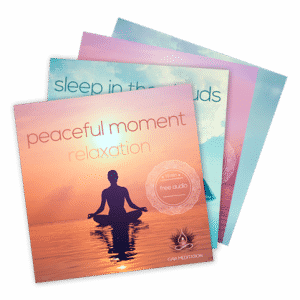 At Gaia Meditation, we have developed a variety of free audio tracks based on 432 Hz tuning. It includes: relaxation music, sleep music, meditation music and plenty other Sound Healing programs.